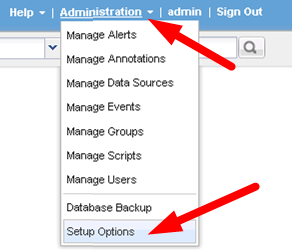 Log into the OnCommand Unified Manager WebUI. 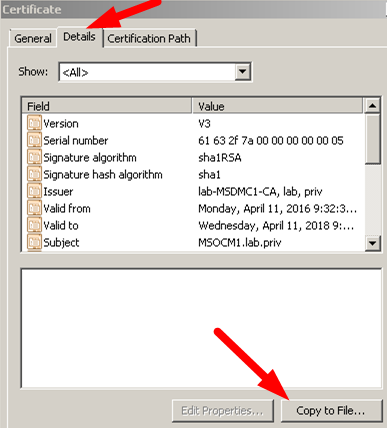 Click on ‘View HTTPS Certificate’ to verify the current configuration of Alternative Names is correct (will need to Regenerate if not). Copy the downloaded CSR (called MSOCM1.CSR in this lab) to a Certification Authority (CA) server (here we have access to a Windows Server 2008 R2 Domain Controller with ‘Active Directory Certificate Services’ and the ‘Certification Authority’ role installed - there is also Web Enrollment). 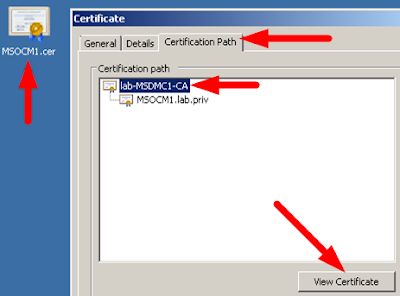 net stop "Active Directory Certificate Services"
net start "Active Directory Certificate Services"
Now, this is where it gets a bit fiddly! 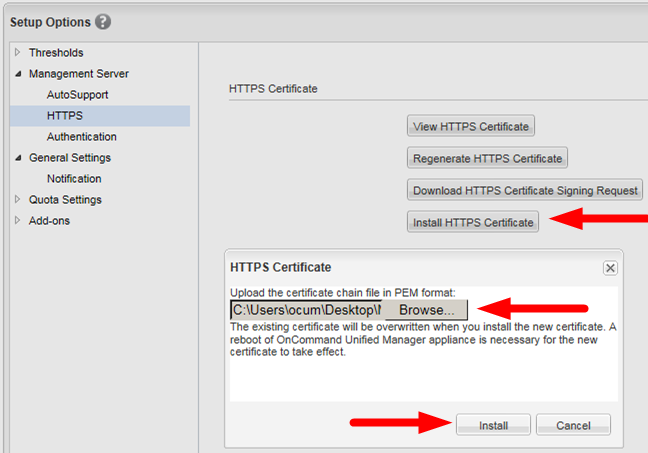 Return to the OnCommand Unified Manager WebUI -> Administration -> Setup Options -> Management Server -> HTTPS and click the ‘Install HTTPS Certificate’ button, and install the MSOCM1.PEM file just created. Finally, reboot the OCUM server (or restart the service), and test the certificate works!